Golf is a game that lives and thrives on new technology. It should come as no surprise that one Chicago golf facility is utilizing Apple’s popular iPad2 to help teach the game of golf. The latest version of the wildly popular Apple iPad2 has found its way to the teaching facilities of Winnetka Golf Club this summer. With the use of the V1 Golf Application on the iPad2, Winnetka Golf Club golf professionals are now breaking down video with the latest golf swing analysis software. One of the pluses with the new iPad2 is that it acts as a freestanding camera. 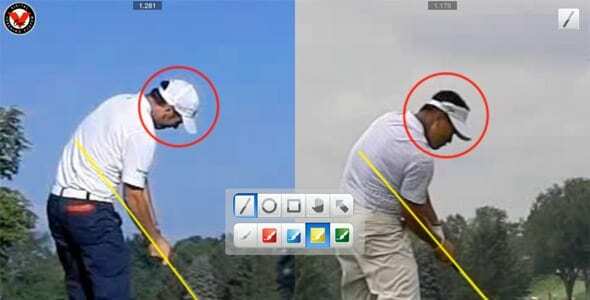 This feature allows the instructor to easily change the angle at which the student is filmed. 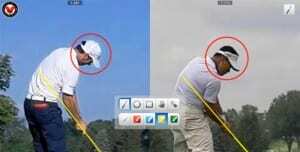 No longer are golf instructors bound to the range by a tripod and a laptop. With the transportable iPad2, they can take video analysis to short game areas, the putting green and most importantly, out on the golf course, during playing lessons. In addition to being extremely portable, the V1 Golf app has an email capability that has taken the student/teacher relationship beyond the lesson tee and into cyber space. The V1 Golf app allows Winnetka Golf Club instructors to send a follow-up email to their students, which includes a side-by-side snap shot or video comparison to a tour player’s swing. Along with the visual comparison, the instructor can include a brief synopsis of the lesson and a few drills that will help their students practice, on their own.